We love hearing about the amazing success stories from our clients, Please keep in mind that while our products have worked for many, we cannot guarantee they will for you, please there is hope! First time I found out I had alopecia was when I was getting my hair done for prom. I honestly don’t know why my hair was falling out so my mom took me to the doctor. He really didn’t give any specific info on my rapid hair loss. They gave me elidel and my hair grew back. 10 yrs later it came back again after I had my baby. In the beginning it was easy to cover my bald spots cause I just put a hair band for work, but then it got bigger and I had more spots. I couldn’t take it anymore so my husband shaved off my hair. I cried because I didn’t feel beautiful, but my husband’s love gave me the courage to go out and love myself. I researched alopecia and it lead me to alopeciafree website. 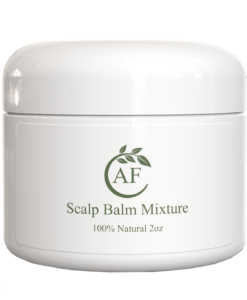 I tried the scalp balm and my hair started to grow beautifully. It was really easy to apply. After I take a shower I rub it to my bald spots massaging it and also at night everyday and it smells awesome. I started seeing baby hair. Now I work as a server and people go up to me and ask what I used for my alopecia and I tell them to go to alopeciafree. It’s crazy to me that kids go through steroid shots on the head and it didn’t help. Thank you so much for your products and knowledge and spreading to the world. You have helped me feel beautiful inside and out. I just want to tell men and women that to only way to happiness is to love yourself no matter what life may take you. I'm a guy and i have been dealing with Alopecia my whole life. Its been on and off through out the years losing hair in multiple spots. Last year it has gotten really worse. The bald spots were really big and really smooth. I lost hope in my hair as i was losing self confidence. One day in 2018, i ran into Jass Youtube channel and was suprised about the stuff she was explaining. I subscribed to her and watched nearly all of her videos as in the future i went on to purchase her scalp stimulating kit. After using the kit for a couple of weeks, my scalp just felt clean in general as i was noticing hair where scalp was completely smooth. A year later my hair kept growing and it did wonders to my scalp and self confidence. I am going to share some before and after pictures to show how much it grew back thanks to Jass! Truly a blessing!! Jass Skype consultant was very informative. She asked me questions about my hair situation, where I live, what happened prior to my hair loss. She was very knowledgeable and recommended that I changed few things about my hair wash day, what I should do about the water because I live in a very dry area and we have hard water. Overall I was very happy with my talk with her and I was very encouraged not to give up after our talk. Thank Jass! I love love love this oil! I’ve tried everything to get my edges to grow & nothing has worked until I tried this!! This is miracle in a bottle!! I would definitely recommend this product to anyone!! I’ll most definitely purchase this product again! These products have done wonders for my daughters hair. It went from dry,frizzy and unmanageable to soft, manageable and her curls are beautiful and bouncy. I couldn’t be happier!! I have tried everything and FINALLY I found this! I found out I have alopecia with having done some research online, with that said I found Jass's YouTube page as well. Started watching her videos and made it onto her page as well. This is when I decided to start my hair-trition journey with reviewing what was really going on with me from an internal body side that was affecting my hair growth. I had already been using natural butters and oils but I still had the sensitive scalp and growth was slow. 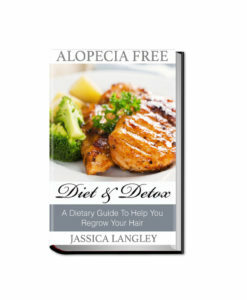 I bought the Diet & Detox book and started with the nutritional side of dealing with my hair growth. 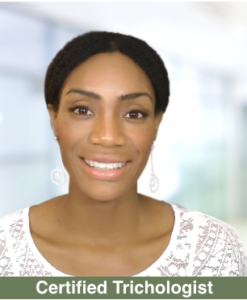 With the first time of being on the detox, I found my scalp was reacting and noticed changes in new growth and strands being thicker. My crown area was starting to close in on the round patch I had and hair getting length, volume and not as brittle. The itchiness also started to fade slowly, my affected area wasn't as sensitive any more as well. With my first try of the diet & detox I didn't make it to week 5-6 which are the juicing but I had already seen changes. So at the beginning of this year 2019, I started all over again and made it to weeks 5-6 and did the juicing (wow, it was tough for me) but I made it through and will continue to do the detoxing on an annually basis. Just with being on the diet & detox for what past month and additional weeks, I am seeing changes in my hair texture, growth, the quality is all too amazing and this for me is GREAT! Next step will be getting onto the Hair Regrowth Kit! After years, of constantly doing sew- in weaves and perms in highschool, I developed what the dermatologists called weak spots behind my ears on each side which were two big bald spots and eventually was told I was suffering from traction alopecia. I was devastated and didn't think they would ever grow back. So, one day while on YouTube I came across AlopeciaFreewithJass channel and her story of her own hair loss inspired me. I decided to purchase the shea butter balm and hair oil blend which I began using in Nov 2016. In three months, my two sides that once were bald actually began to grow back little fuzzes of hair. Now, 2019, I have thick hair on each side of my ears and its all thanks to Jass' products! This is my first time making a review and should have done it sooner but better late than never. I hope anyone who is suffering from hair loss, give these products a try becuase they worked for me and know it can help others as well. I will definitely be repurchasing them again. You are amazing Jass, thank you! I recently had a phone consultation with Jassica Langley, Certified Trichologist regarding a plan to start a hair growth regimen. Throughout, the entire discussion she was very informative, caring, and shared an abundance of knowledge and experience related to scalp health. I would definitely recommend these phone consultations to anyone who is ready to jump start their hair growth journey. Thanks so much Jassica!!!! This product is truly amazing, and i have noticed lots of baby hair coming though. i think what i have learnt is, you have to have patience. I find the 'Scalp Balm' easy to apply and you actually only need a small amount because it being so concentrated, therefore lasting longer than i thought. Well worth the money. Thank you Jass, gives women like us hope, especially as you your self have gone and lived through the experience yourself. I just want to say that I am very grateful for Jass. I had a phone consultation with her about a month ago in hopes of helping my thinning hair. She was very professional, polite, and appeared very passionate about what she does. I will definitely recommend to her to anyone having hair thinning or balding issues. Thank you Jass. I am so thankful to God I came across Alopecia Free! A few months ago I was praying asking God to restore my hair color ( I was born with naturally red hair) and hair from damage I encountered from wearing weaves. I was watching You Tube and I came across Jass and began to watch her You Tube videos. Those videos gave me hope and I believed through her testimony that my hair could and would be restored. Her testimony encouraged me so much that I decided to purchase the Stimulating Shampoo. I had just did the Big Chop and was also suffering from an extremely itchy scalp. Upon using the shampoo, I started seeing results immediately, after one wash my itchy scalp was completely gone and it left my hair very soft. I have been using the shampoo for almost six months now. Oh and did I mention my hair color has been restored! My hair is growing back very thick and I just ordered the Oil Blend, Scalp Balm, and of course more Shampoo. I hope and pray that this will encourage others suffering and struggling with hair loss. Don't give up! Your hair can be restored! Thank you so much Jass! I love using this product on my daughter hair. The product keeps my daughter spots moisturized and growing healthy. Jass, this oil has been sprinkled with "magic." It's done what I deemed the impossible. It gave me back edges, I can see 4c curly hair growing from several balded areas of my scalp, and there is actual curly hair growing from thinning spaces in the front of my head. I shall continue to keep hope alive. Thank you for making these products. They work. Your oil mixtures are answers to my prayers. I have alopecia and I've been using this on my edges for a month. I am starting to see baby hair on my edges! It moisturizes your edges, and is excellent for thinning. I will continue to use this product. It is the bomb! The sho nuff truth!!!! 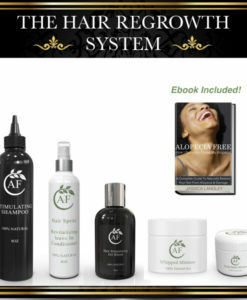 hair growing/thickening regimen for people with alopecia. I have Alopecia and had balding around the edges & nape area as well as thinning in the top, down to the back of my head. After using this oil for a month, I'm starting to see baby hair growth around my edges and the top of my hair.The back is thickening up. I will continue to use this product. Thank you Jass for allowing God to use you as a vessel to create a growing regimen for people with Alopecia. 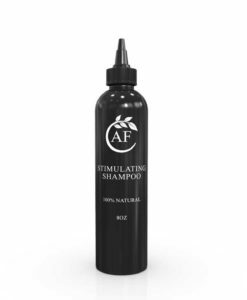 I have been dealing with alopecia for almost five years and I didn't think I would ever find anything that would help my hair grow back. I've gone to 3 dermatologist who have all recommended either getting shots or using creams to help my hair grow back. 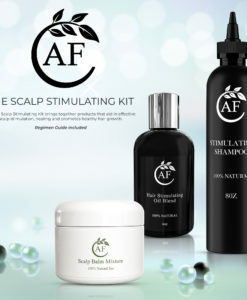 Needless to say I tried it all and nothing worked until I came across Alopecia Free. I have been using the stimulating kit for the past 6 months and have fuzz in what used to be a bald spot in the crown of my head. Jass, thank you so much for creating this kit. It's AMAZING!!! I have been using these products for a couple months now, and they have really worked well for me! I am starting to notice the little hair follicles that had completed closed are starting to open back up. This is very exciting news for me. The shampoo is really good at cleansing you scalp and keeping down inflammation, and the scalp balm keeps the scalp stimulated as promised, also the oil blend is great for hot oil treatments. I would also recommend you getting a good amount of sun while using these products because it had made a big difference for me, 10-15 minutes of sitting in the sun a day has made a HUGE impacts on my results. I plan on posted actually pictures soon, I am just waiting for everything to fill in a little more before I do so others will be able to see the progress.